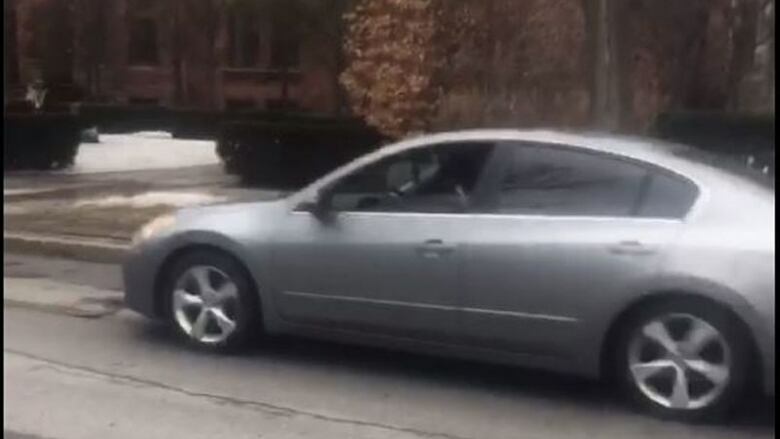 Toronto police are warning the public after receiving two similar reports of a man approaching teenage girls in his car while they are walking alone. Toronto police are warning the public after receiving two similar reports of a man approaching teenage girls in Rosedale. In the first incident, on March 7, a 14-year-old girl was walking near Elm and Dunbar Avenues when a car began to follow her, police say. The driver, who is described as being black and in his late 20s or early 30s, approached the girl a few minutes later and asked her to get in his car. When the girl refused, he then grabbed her hand and attempted to pull her into him before she broke away and fled, police said. Police are describing the incident as an attempted abduction. The following Monday, a 13-year-old girl was walking a block away — near Elm and Sherbourne Streets — when a man with a similar description began following her in a car and making sexual comments. She ran to a friends house, while the man followed and waited outside of her house before driving away. The two incidents have not been definitively linked, but they are "very similar," said Toronto police Const. Jennifferjit Sidhu. Sidhu said they are asking people in the area to check any outdoor surveillance cameras for footage of either incident. Sidhu also said they are urging parents to talk to their children about what to do when approached by a stranger. "Both incidents are disturbing in nature in that it's a man approaching young girls," she said. "This is something that Toronto Police is taking very seriously." Police news releases describe two different cars in the two incidents. In the first, the car is described as a black four-door sedan. In the second, it's a silver Nissan Altima.